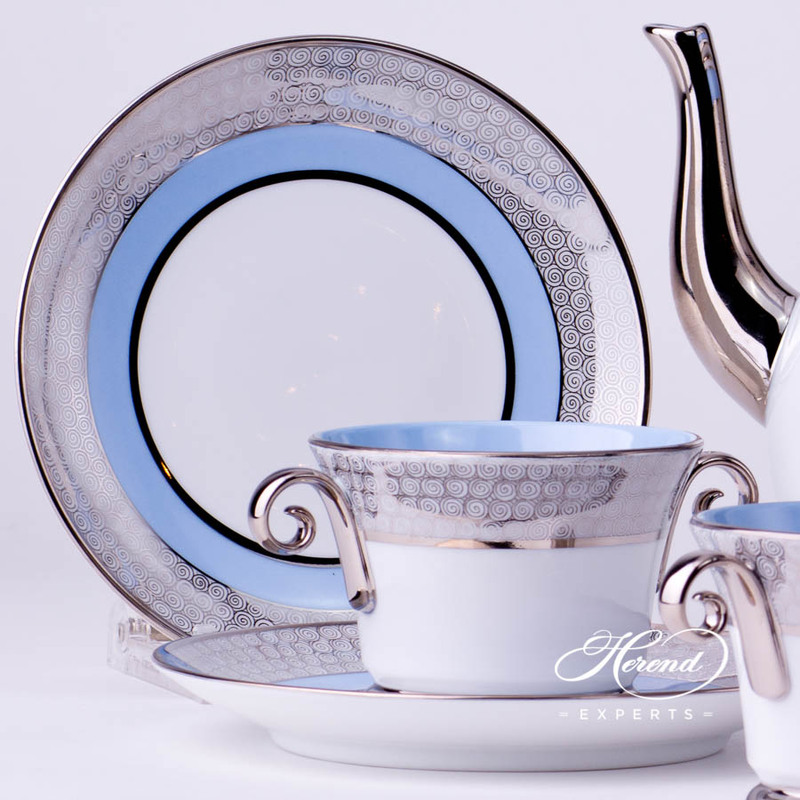 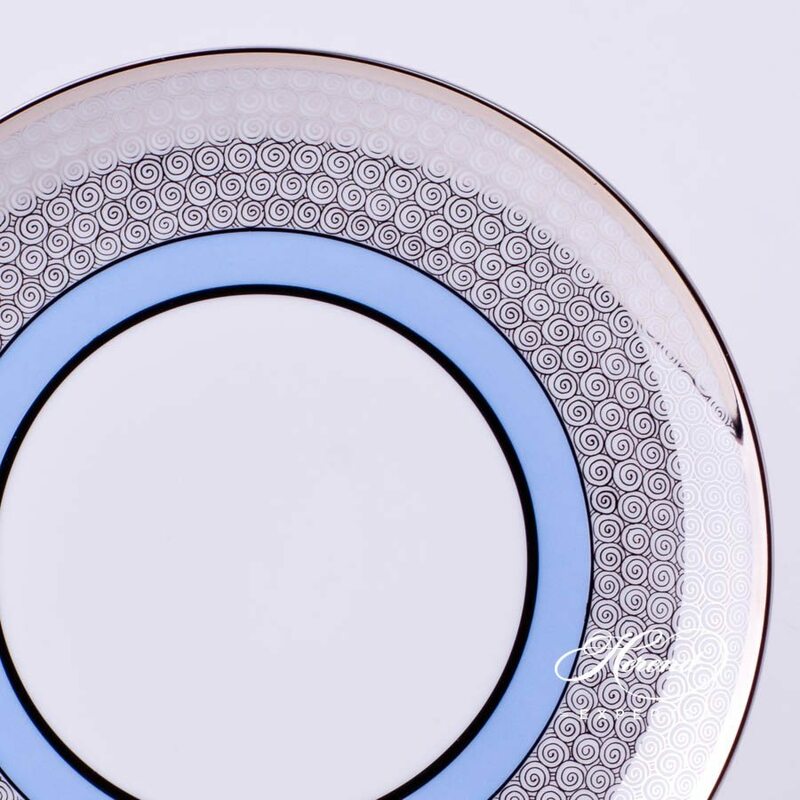 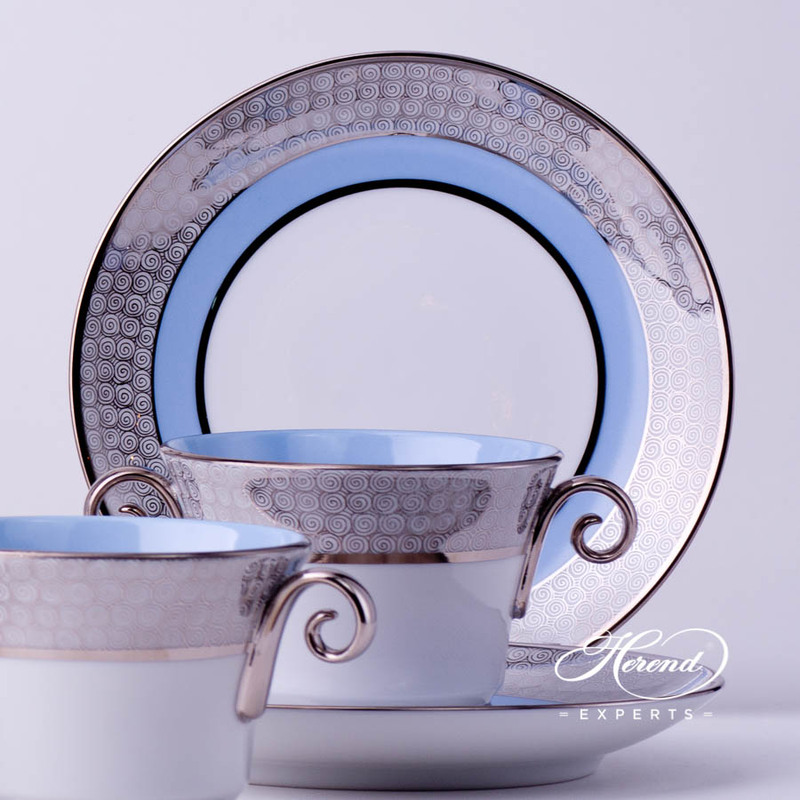 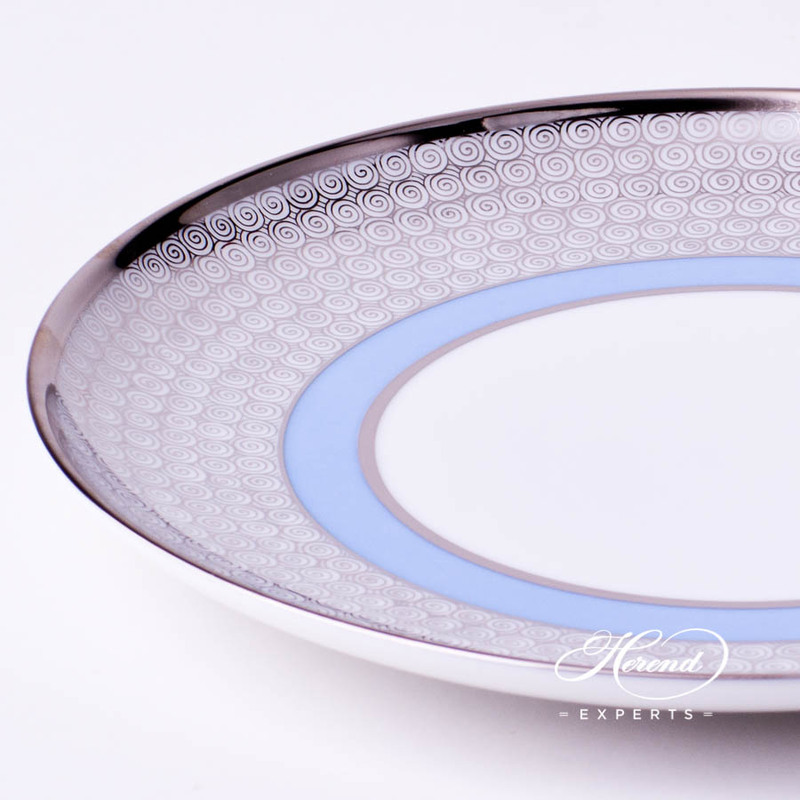 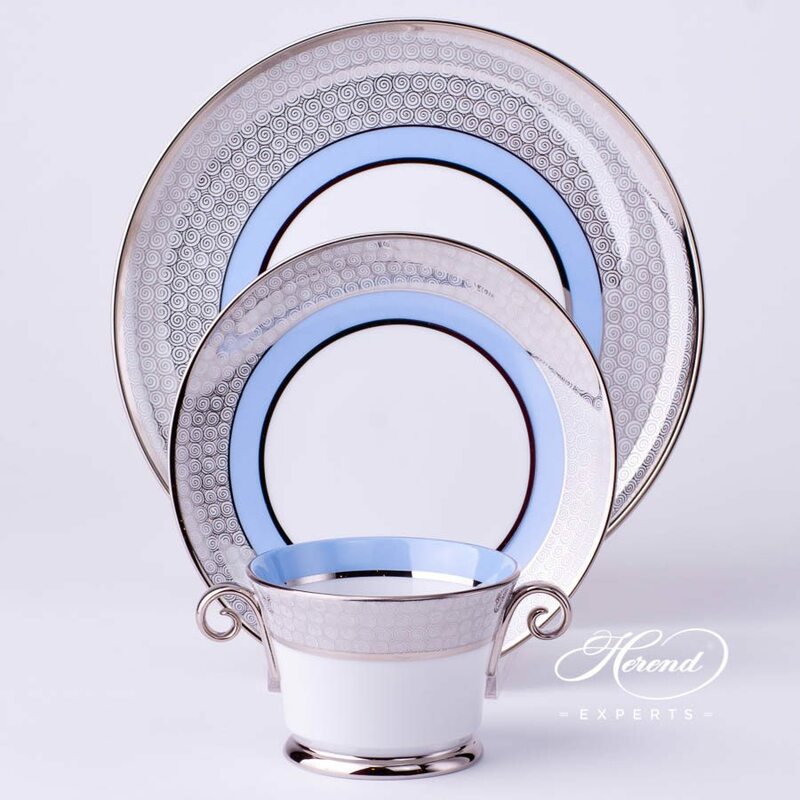 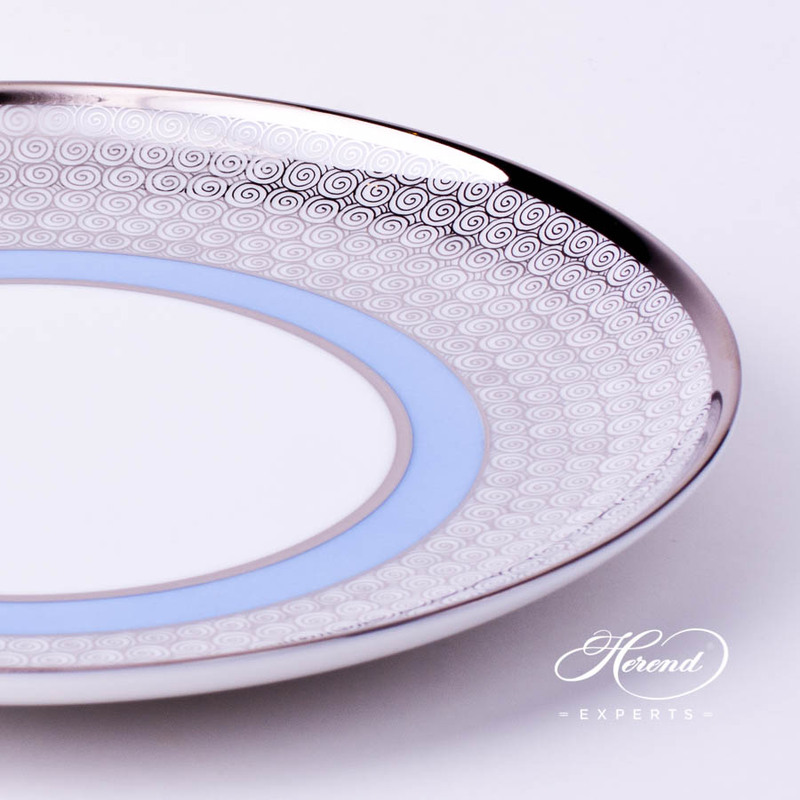 Herend porcelain Dessert Plate - Herend Orient Blue w. Platinum design. 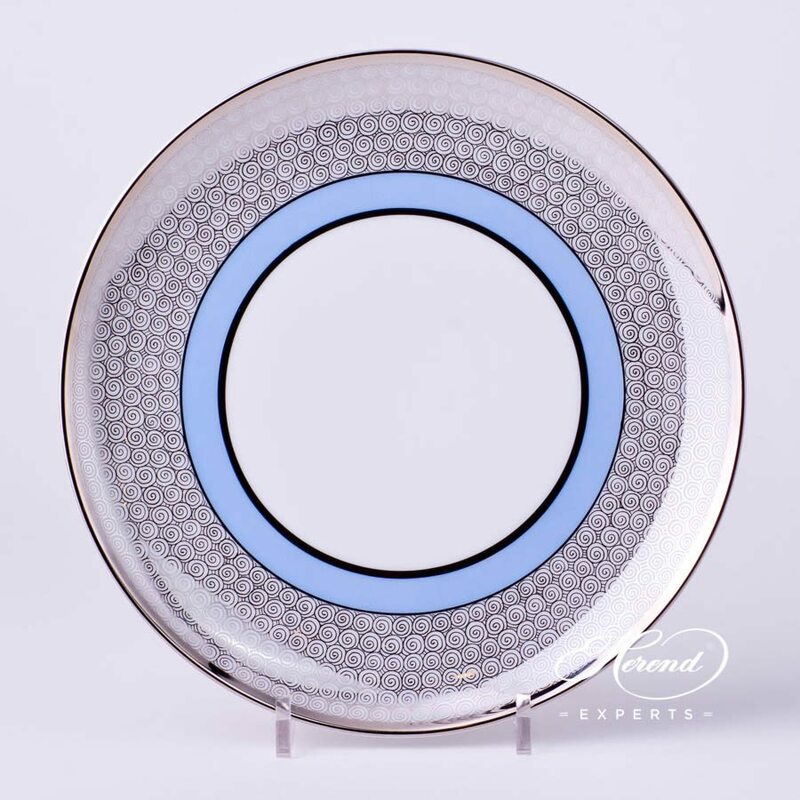 We offer this practical Dessert Plate for Tea, Coffee and Dinner Sets. 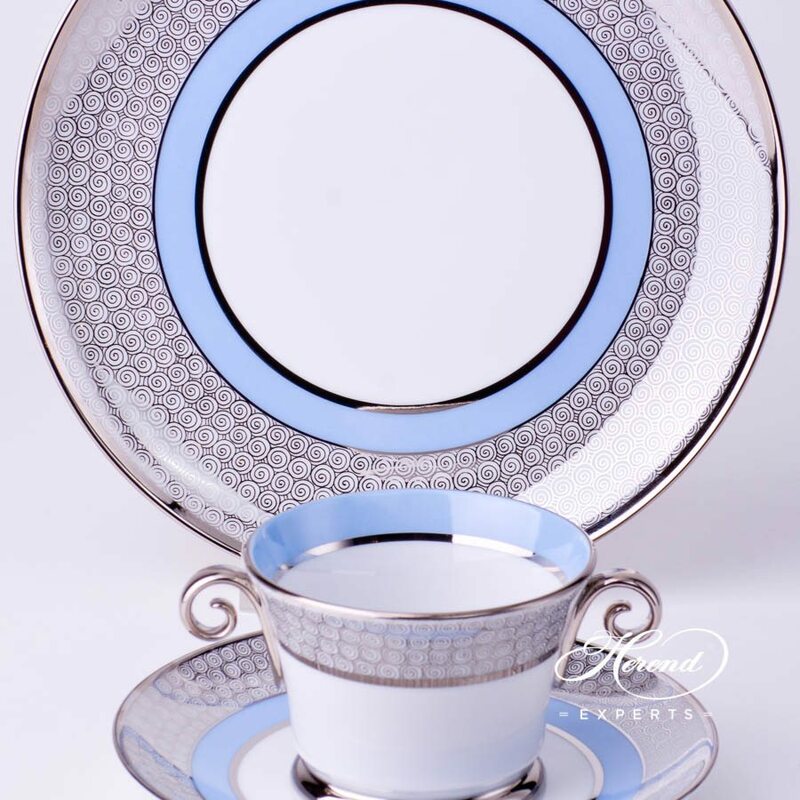 This pattern is painted in Turquoise and Lilac colors as well.